Get 12 issues of Referee magazine to educate, challenge and inspire you every month. Save 44% off the cover price. 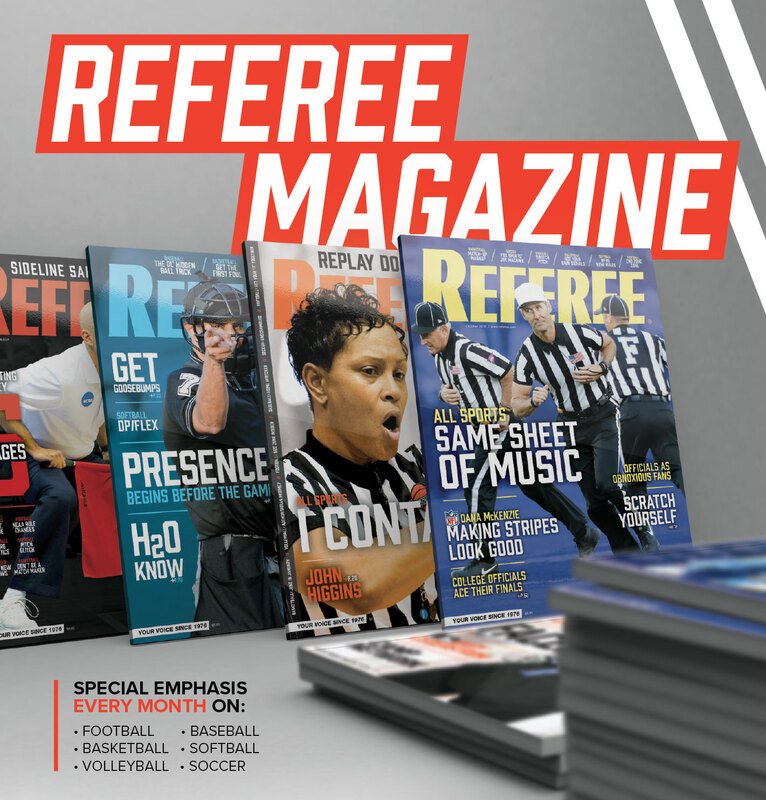 Receive your free, no obligation issue of Referee magazine to try out in your own home. 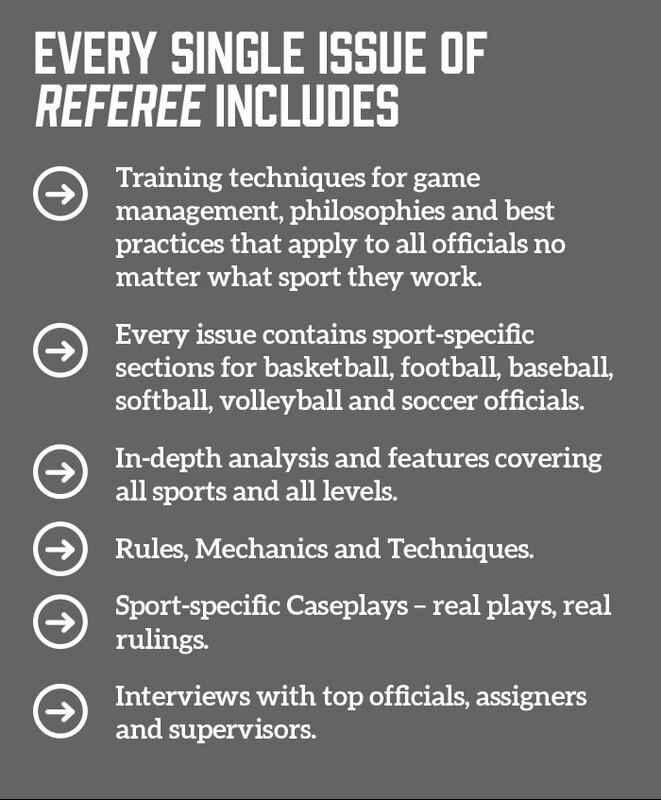 Because more than 60 percent of our readers are high school level officials, Referee provides the latest NFHS rulings and caseplays in every issue. 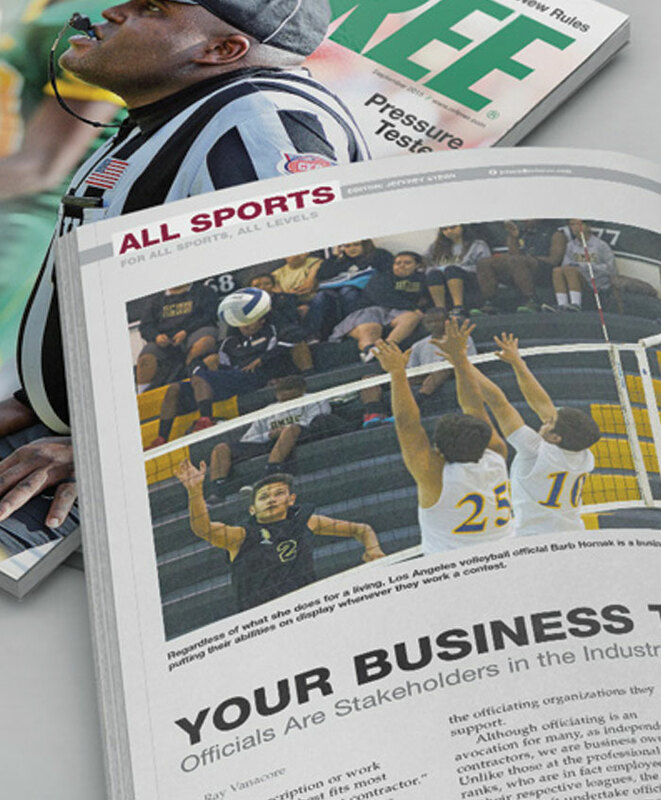 But the magazine is designed to keep sports officials at all levels informed of news and significant developments in the officiating industry and is the go-to source for need-to-know information they can’t get anywhere else. Every issue is packed with the latest officiating news, up-to-date rules information and interpretations, special features on relevant issues, training, game management and industry hot topics, plus much more. It’s the one magazine that you can count on issue after issue for information that will help you be a better official – make better decisions, because it’s the one magazine written by officials, for officials.